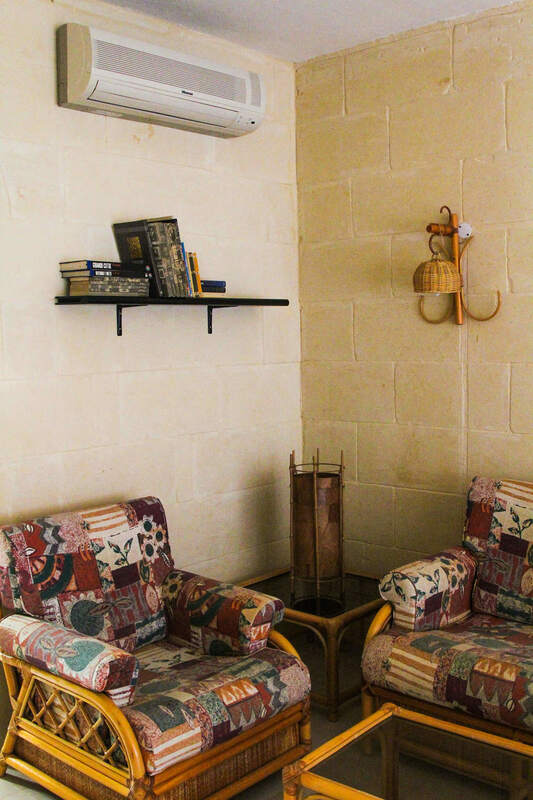 Situated on the first floor, it enjoys magnificent views of the Gozo's countryside and its surrounding seas. 76 sqm, one bedroom, separate kitchen, living/dining, one balcony. Air conditioning available upon request, and strictly reserved for non smokers. It can be set up with one large bed, or two single beds, and a baby cot is available for the youngest guests.